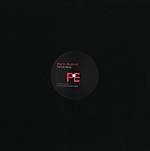 Detroit Love present the second release on their eponymous imprint -- a collaborative venture from Planet E and !K7 which aims to capture the essence of Carl Craig's beloved event series. Following 2018's inaugural mix from Stacey Pullen (PEDL 001CD/LP), the second entry comes from none other than Carl Craig himself. Across a hazy, funk-driven voyage, he delves into the spirit of his hometown, championing the past and future of the motor city into an expertly curated mix. With a blend of '90s gems and new exclusives, Carl's track selections forge an atemporal vision of quintessential Detroit music. Opening up the mix are two rare, early '90s classics from Ectomorph and Rhythim Is Rhythim, neither of which have been reissued on vinyl for decades, followed swiftly by a 2015 collaboration from Carl Craig and Green Velvet, never before released on vinyl. New material comes in the form of an exclusive C2 edit of DJ Minx, another exclusive from Claude Von Stroke, tracks from TV Lounge affiliates Ataxia and Mister Joshooa, and unheard music from Matthew Dear under his new Brain alias, to name a few. Also features Kevin Saunderson, Virus J, Dave Aju & thatmanmonkz, Foxxee, Octave One, Waajeed, Sophie Lloyd, Dames Brown, Floorplan, BMH & Sal P, Gay Marvine, Delano Smith, Gaiser, Mr. G, and Mirko Loko & Stacey Pullen. Double LP version. Gatefold sleeve. 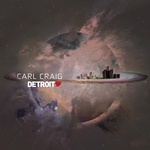 Detroit Love present the second release on their eponymous imprint -- a collaborative venture from Planet E and !K7 which aims to capture the essence of Carl Craig's beloved event series. Following 2018's inaugural mix from Stacey Pullen (PEDL 001CD/LP), the second entry comes from none other than Carl Craig himself. Across a hazy, funk-driven voyage, he delves into the spirit of his hometown, championing the past and future of the motor city into an expertly curated mix. With a blend of '90s gems and new exclusives, Carl's track selections forge an atemporal vision of quintessential Detroit music. Opening up the mix are two rare, early '90s classics from Ectomorph and Rhythim Is Rhythim, neither of which have been reissued on vinyl for decades, followed swiftly by a 2015 collaboration from Carl Craig and Green Velvet, never before released on vinyl. New material comes in the form of an exclusive C2 edit of DJ Minx, another exclusive from Claude Von Stroke, tracks from TV Lounge affiliates Ataxia and Mister Joshooa, and unheard music from Matthew Dear under his new Brain alias, to name a few. Also features Kevin Saunderson, Virus J, Dave Aju & thatmanmonkz, Foxxee, Octave One, Waajeed, Sophie Lloyd, Dames Brown, Floorplan, BMH & Sal P, Gay Marvine, Delano Smith, Gaiser, Mr. G, and Mirko Loko & Stacey Pullen. 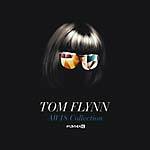 Planet E Communications present AW18 Collection, a three track EP from British producer Tom Flynn. Drawing upon a broad and learned musical understanding, AW18 Collection fuses disparate strands from the worlds of fashion, club culture and sound design to forge a highly atmospheric, singular release. "Packard", inspired by parties in the historic Detroit power plant of the same name, establishes an unrelenting energy. "Anna" is a nod to the catwalk, marching with intent amidst immersive chords and subtle melodies, while closer "Marx" creates a dizzying swirl with glistening textures. Double LP version. 2017 release. Niko Marks exists at a musical intersection where Stevie Wonder and electronic music collide. Born in Detroit and raised by a family of musicians and singers, Niko was taught chord progressions by his mother on the piano and learned the rest by ear. He took just one music class along the way. It wasn't long before Marks's genre-defying path -- and ability to sing, write, produce, and play -- would link him up with the next wave of Detroit techno. In the early 1990s, Marks was working under the same roof as underground luminaries like Juan Atkins, Eddie Fowlkes, "Mad" Mike Banks, and Jeff Mills. As Underground Resistance established its iconoclast status, Marks joined collaborative production team Members Of The House. 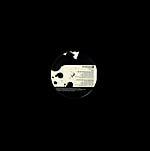 Marks manages to bend those chord progressions learned on his mother's piano to his will today, creating a bevy of soulful techno and house tracks in his wake for labels like U2X Productions Detroit and Carl Craig's Planet E label. Starting in 1999 with his Niko Marks & the City Boy Players release with Fowlkes, Marks has released new music nearly every year. As a live performer, he's found himself doing stripped down DJ sets as well as bringing his body of work to life as a jazz trio. "The trio gives people something more real, something move live," says Marks. "The interaction is greater for me, but it's still dance music at the end of the day." With Day Of Knowing Marks is releasing his debut full-length. Produced in part with Craig, the record is undoubtedly one of Marks's most compelling efforts. His raw talent as a musician takes center stage as rich instrumentation becomes a soulful weapon over crisp electronic drums. There's crossover appeal here that plays as well in the basement dive as it does in the jazz club. Marks describes Day Of Knowing as a decades-long culmination of producing, arranging and writing -- but coming back home to his roots at the same time. Features Santiago Salazar. 2017 release. Terrence Parker (known to many as "TP") born and raised in Detroit, has become legendary for his quite uncommon yet skillful turntablism style of playing house music. TP has also become widely admired because he uses an actual telephone handset as headphones. Terrence has performed as a DJ in 40 countries throughout the world and has released more than 100 recordings on his Intangible Records label and various labels including Sony, Defected, Nervous, Kingstreet, and Purple Music. Terrence has top 20 hits with his songs "Love's Got Me High", "The Question", and albums like Life On The Back 9 (2014) and Detroit After Dark (1997). Terrence is also making his mark as a techno producer with his "Alarm The Sound" track, topping the 2016 Traxsource Top 200 Techno Singles chart at #3. 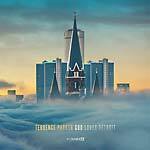 God Loves Detroit features TP collaborations with Coco Street, and additional projects with Merachka (who co-produced, co-wrote, and sings on the first single entitled "Don't Waste Another Minute" which also features a remix by London's As I Am). Double LP version. Detroit Love present the inaugural release on their newly founded eponymous imprint -- a collaborative venture from Planet E and !K7 which aims to capture the essence of Carl Craig's superb event series of the same name. Detroit Love Vol. 1, mixed by Stacey Pullen, is a sixteen-track journey that exemplifies the diversity of the city, as well as the essence of the parties, championing both lesser known artists and familiar faces into a 74-minute mix. As a long-time resident of the party and native of the city itself, Stacey Pullen was the natural choice to launch the label. Since emerging as part of the "second wave" of Detroit techno, his heartfelt and unpredictable sets have sustained him a packed touring schedule the year round. With acclaimed mixes on Fabric (FABRIC 027CD, 2004), 20:20 Vision (2009), and Balance Music (BAL 016CD, 20015), his experimental mixing style and encyclopedic music knowledge cement his status as a true innovator in the scene. Combining artists new and old, local and international, the first mix of the series is a heady voyage into the Detroit spirit. Stacey adds: "I wanted to showcase the versatility of music from Detroit, whether it be a Detroit label or Detroit artist, the connection is there for you to grasp." His track selection predominantly represents Detroit, but also details its influence on European aesthetics, bridging the transatlantic gap. Firm favorites like Marcellus Pittman, Motor City Drum Ensemble, Delano Smith, Patrice Scott, DJ 3000, and Soulphiction all feature alongside local heroes like composer Craig Sherrad, Teknotica Records label boss Gary Martin, and Ataxia. Atmospheric groove-driven tracks like Philpot Records label boss Soulphiction's "Ann Arbor" and Craig Sherrad's "The Fader" are offset against organic, jazzy cuts like Marcellus Pittman's glistening take on Motor City Drum Ensemble's "Raw Cuts" and MOTUO's "Purple Pulse". Minimal entries like Sawlin's mind-altering "Wired Evening" on Delsin and Remote Viewing Party's "410" show the trippy side of the Detroit sound, with the mix ending on scene veteran Patrice Scott's aptly named "Detroit State Of Mind". Double LP version features: Gary Martin, Craig Sherrad, DJ 3000, Ken Young, Burning Bridges, Motor City Drum Ensemble, Marcellus Pittman, Remote Viewing Party, and Soulphiction. Detroit Love present the inaugural release on their newly founded eponymous imprint -- a collaborative venture from Planet E and !K7 which aims to capture the essence of Carl Craig's superb event series of the same name. Detroit Love Vol. 1, mixed by Stacey Pullen, is a sixteen-track journey that exemplifies the diversity of the city, as well as the essence of the parties, championing both lesser known artists and familiar faces into a 74-minute mix. As a long-time resident of the party and native of the city itself, Stacey Pullen was the natural choice to launch the label. Since emerging as part of the "second wave" of Detroit techno, his heartfelt and unpredictable sets have sustained him a packed touring schedule the year round. With acclaimed mixes on Fabric (FABRIC 027CD, 2004), 20:20 Vision (2009), and Balance Music (BAL 016CD, 20015), his experimental mixing style and encyclopedic music knowledge cement his status as a true innovator in the scene. Combining artists new and old, local and international, the first mix of the series is a heady voyage into the Detroit spirit. Stacey adds: "I wanted to showcase the versatility of music from Detroit, whether it be a Detroit label or Detroit artist, the connection is there for you to grasp." His track selection predominantly represents Detroit, but also details its influence on European aesthetics, bridging the transatlantic gap. Firm favorites like Marcellus Pittman, Motor City Drum Ensemble, Delano Smith, Patrice Scott, DJ 3000, and Soulphiction all feature alongside local heroes like composer Craig Sherrad, Teknotica Records label boss Gary Martin, and Ataxia. Atmospheric groove-driven tracks like Philpot Records label boss Soulphiction's "Ann Arbor" and Craig Sherrad's "The Fader" are offset against organic, jazzy cuts like Marcellus Pittman's glistening take on Motor City Drum Ensemble's "Raw Cuts" and MOTUO's "Purple Pulse". Minimal entries like Sawlin's mind-altering "Wired Evening" on Delsin and Remote Viewing Party's "410" show the trippy side of the Detroit sound, with the mix ending on scene veteran Patrice Scott's aptly named "Detroit State Of Mind". CD version features: Cage & Aviary, Soulphiction, Craig Sherrad, Remote Viewing Party, Delano Smith, Motor City Drum Ensemble, Marcellus Pittman, Burning Bridges, Gary Martin, Ken Young, Ataxia, DJ 3000, Sawlin, Chicola, MOTUO, and Patrice Scott. 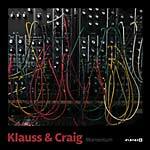 Planet E present a two-track collaboration between Carl Craig and Argentinian live electronic collective Klauss. Each running at over ten minutes long and brimming with tension, both tracks use analogue grooves to form a grounding for meditative loops and mind-bending sonic processes to wander. 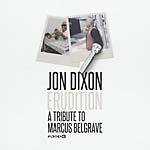 Jon Dixon, member of Underground Resistance's live band Timeline, pays tribute to legendary Detroit jazz trumpeter Marcus Belgrave. The EP features Belgrave himself (recorded before his passing in 2015), alongside additional contributions from Detroit musicians: UR/Timeline's Mike Banks & saxophonist De'Sean Jones, and jazz trumpeter, composer & educator Kris Johnson. "Artist friends of Planet E choose their favorite Planet-E release and add their take on it. 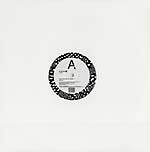 The first in the remix series from the Planet-E back catalogue is Luciano's remix of Recloose's 'Can't Take It', originally released in 2000. The package also comes with a Milton Jackson remix, as well as the coveted original. 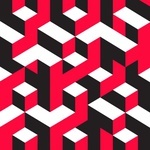 Swiss/Chilean producer Luciano, owner of Cadenza Records and a DJ to witness-with-reason, creates almost 13 minutes of rhythmic anticipation that leaves you lost in a trance." "Catcalling from the depths of a city seen from the outside as crumbling, sonic grooves carve a path to the soulful Detroit duo known simply as the Oliverwho Factory. First noticed across the primitive music sharing plateaus of a decade past, the Oliverwho Factory quickly gained notoriety overseas with a Glasgow-based distribution, and a keen sense of product importance, releasing rich, mood-driven tracks on vinyl, inspired by and resonating the roots of rock, pop, jazz, and R&B. Earth near-silently stumbles with the distinct yet mysterious, funk laden blend of house and techno that Oliverwho and Shonie C. so naturally provide. Like stepping into dreamscapes of unknown desire, the obscure flavor of OWF's tunes keeps unconventional beauty and otherworldly adventure at the forefront of this duo's Detroit-based soundboard. With a scant 10 releases under their belt since they premiered on their own Madd Chaise Inc imprint in 2003, they have created a name for themselves that is rarely heard but when it is, it's uttered in a reverent tone. Their sound is one that doesn't fit easily into a box; it's raw and electrifying blend of soulful house and jackin' techno. The Oliverwho Factory's disposition has been cautious and a bit resistant with any major spotlight. Whatever the reason, it's only a matter of time before the world realizes what they've been missing. After sticking to small quantities of vinyl through the years they've made each release sought after and instant gems." 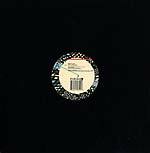 "1990 was the decade Kirk established healthy roots with the network trio of Detroit producers: Derrick May, Juan Atkins and Kevin Saunderson. In preparation for Kirk's most influential journey to the US, he collaborated demos with Ed Handley and Andy Turner under the collective The Black Dog. During his inspirational visit to Detroit, Kirk took notice of the affordable studio setups he observed at Transmat, Metroplex and KMS. Consequently Kirk sold his entire record collection upon his return to London and invested in an Atari, Akai S950 sampler, a broken TB303 and a Roland R8 drum machine. To complete his Detroit-inspired studio, the last pieces were actually loaned from Derrick - including a Kawai K3 and the infamous DX100. Fast forward to the more present time and Kirk has released purist techno EPs for an EMI subsidiary New Religion. For the same label he has collaborated with Dan Keeling under the name Critical Phase and together with Alex Bond has also coordinated the joint ART-New Religion compilation The Electric Institute. On this compilation Kirk shocked purists with the techno breaks track 'Whatever Happened To The Cosmic Kid,' which was co-written with Dan Keeling and Chris Martin of Coldplay. Kirk's revolutionary pulse has been recognized and is credited with being the first known professional DJ to use Ableton Live alongside vinyl for his DJ sets. A tour of Japan 2002 saw him use Live exclusively which he has now done ever since in venues worldwide. Kirk paved the way for the current popularity of laptop DJing." "Spencer Kincy was a giant in Chicago's house music revival -- part of the second wave of younger DJs and producers that took the music of the early 1980s, rubbed it up and dropped it in places like 500 West Cermak, Medusa's and the Vault. A lot of people who are now superstars of the scene -- Mark Farina, Sneak, Derrick Carter, and dozens of others -- were a part of that movement, too. Spencer released a number of tracks on Relief, Planet E, Cajual, Peace Frog -- labels representing the classics of that era -- and he usually recorded under the name Gemini. As a DJ, he operated in his own space -- I'm sure he could play for a room, and sometimes did, but the unrestrained madness of a Spencer Kincy DJ set had to be heard over several hours to appreciate. He could blend a sleazy disco track into hard acid, downtempo into a punishing Armani track, jazz into Detroit techno and so on. It wasn't technically brilliant or tricky, but the selection was exquisite. A number of figures from his era still list him as an influence. His productions, viewed as a whole, are so much like his sets: going softer than many dared to go, and going much harder than just about any dared to go. Simple jack tracks! Respected by the standards of the industry of the time, and you certainly couldn't go anywhere in Chicago without hearing Derrick, Sneak, Mark, Lego, Gene, Jevon, Diz, Johnny or the other DJs beating them. And so many of them have a timelessness -- a little piece of eternity stuck like some bit of wax between the grooves." "2009 has seen a slew of new Detroit producers in what is turning out to be a stunning year of activity for the city's dance music. As the area experiences another test of its collective mettle, these musicians have emerged with some fresh insights. It's Detroit's New Wave; and it's happening at a time when everyone wants to know 'what's really going on' in the 313. As always, Planet E is on this wave with Monty Luke. Following up releases on Claude Von Stroke's Mothership Music label, Luke transplanted from California to Detroit; shunning grace for grit and delivers his first offering for Planet E, Art, Love & War. The label's first release since the 69 box set, Art, Love & War matches deep, stark piano stabs with sharp expansive drum hits; it's upfront, it's beat-driven, it's for the dancefloor. The fantastic Carl Craig remix on the flip throws jagged edges of the original around in unexpected ways; it's the first C2 remix on Planet E since his epic remake of Martin Buttrich's 'Stoned Autopilot.'" 'The world takes one step closer to the truth. With his forthcoming release on Carl Craig's famous imprint Planet E Communications, Reade Truth's Crimen Excepta EP reveals what he has been perfecting in his Vienna studio. Both tracks -- 'Another Dilemma' and 'Frequency Sexxx' -- offer fantastic hybrids of deep, groovy electronic rhythms and moody Detroit-eque vibes from and for the underground. Reade Truth is best identified as a veteran DJ of the NY scene whose deep dancefloor visions have consistently provided an important source of edgy electronics always delivered with an inimitable style all his own. He has been rocking the decks since 1990 and as a producer he has made his mark on many EPs for cutting edge labels like Direct Drive, Strictly Rhythm, Sonic Groove, Instinct, Pomelo and of course his own imprint, Path Records. No history of the electronic music scene would be complete without mentioning the name Reade Truth, one that evokes both futuristic anticipation and nostalgic reflection." "Being inspired one day by 69 'Desire,' Vince decided to create an interpretation of it using his own unique sound. The track was done very quickly as a gimmick to send to Carl Craig as a mark of respect for his own track; now the track has been signed by Carl for Planet E and the world will now hear that very 12 minute piano and string filled beatless gimmick that is proving to be Vince's most musical piece to date. It's epic stuff. Flipmode with 'Qualia,' which takes off where Vince's Fcom material left off. 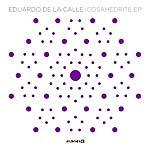 Deep driving hypnotic dancefloor material with an orchestra thrown in for good measure." "Christopher Spero has become an extremely in demand producer and remixer over the last few years with his releases on his own Glimpse imprint and now this strong release on Planet E. As one would expect from a Planet E release its heavy on drama and atmosphere with some Detroit stabby synths, a long drop which really builds the tension and a drawn out epic feel. On the flip its none other than Carl Craig that steps up for the remix. His contribution is more immediate and aimed at the dancefloor jugular. Slamming beats and hats raise the energy levels but the original works best." 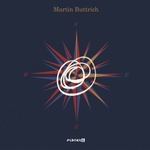 "A-side: Martin Buttrich - Stoned Autopilot (C2 Version) mixed by Carl Craig. 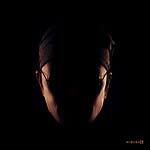 B-side: Jona - Oblique (previously unreleased)." "Written by Ican and Jose 'Perico' Hernandez. Vocals and percussion by Jose 'Perico' Hernandez. Produced by Ican. 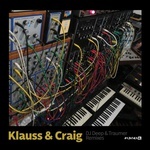 Mixed by Carl Craig."